Last year (2015) I was invited by Alvaro Campolargo sensei to teach a Kenkyukai seminarin Venezuela. After the seminar we established a plan to make possible a seminar with Taira sensei in 2017. 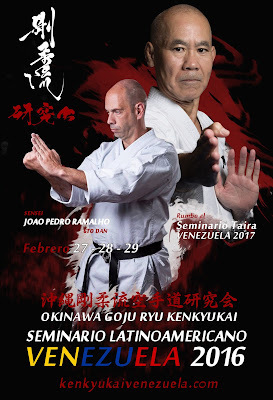 Last year I reported to Taira sensei that "... several instructor from Venezuela are interested in Taira sensei work, ideas an concepts." This year my travel to Venezuela was with the intention to see the the grow of Kenkyukai in Venezuela and I was not surprised with the growing number of members that we have at this point in Venezuela. Alvaro sensei is doing a great work inside and outside the dojo. 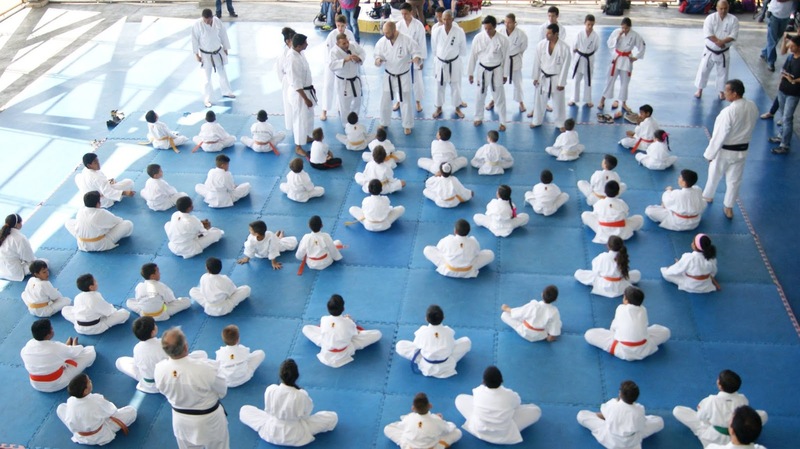 Last year the participants of the seminar where approximately 15 adults and 20 children in one dojo. This year we surpassed that number and we had approximately 100 students (children and adults during the 3 days) from three dojos and also guest from other organizations. 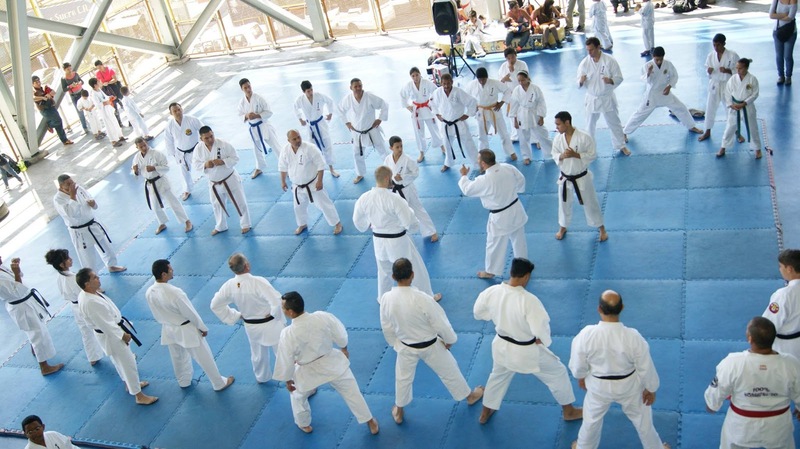 Most of the adults are inside the basic drills of Taira sensei (open-close, over-over, over-slap-under, ...) and have some information on bunkai. My mainly teachings where on drills and explaining the connection of them with bunkai. Once again the participant where very open and showed a big interest on Taira sensei Kenkyukai method. 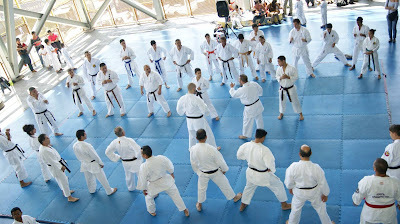 All the students and instructors that attend the seminar.